What Are You Doing for Others on MLK Day? 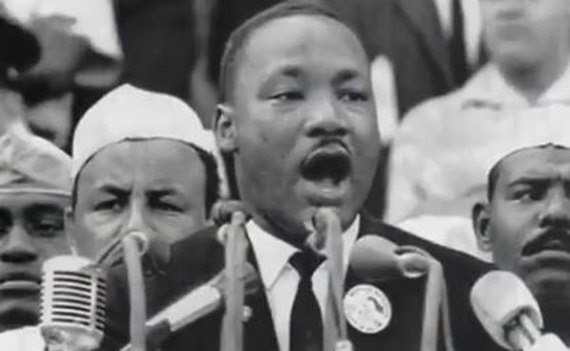 In his sermon on the “Drum Major Instinct” nearly 50 years ago, Dr. Martin Luther King Jr. guided the congregation of Atlanta’s Ebenezer Baptist Church on a journey that urged them to channel their ambitions through acts of service and love. Earlier in those remarks, Dr. King offered a scripture-based take on the idea of greatness that probably seems antithetical to the way many see it today. Since 1994, CNCS has been directed by Congress to guide efforts that emphasize volunteering and service on the MLK Day holiday to improve our nation’s communities. Noting that he didn’t want to be known for his academic credentials or awards that he received, Dr. King said he would like to be remembered as someone who “tried to give his life serving others,” as one who worked to feed the hungry, clothe the naked, and comfort the imprisoned. There are numerous challenges, like those Dr. King referenced, that can be improved through the actions of engaged and active citizens. Through service and volunteering, we can strengthen communities by serving in our schools, preserving and protecting our national parks and public facilities, increasing financial literacy, building and repairing homes, and supporting our veterans and military families. We are inspired by Dr. King’s life, which focused on serving others in a multitude of ways that, ultimately, helped change the course of our nation. And we hope that you make service and volunteering a part of your life on MLK Day – and all year long. 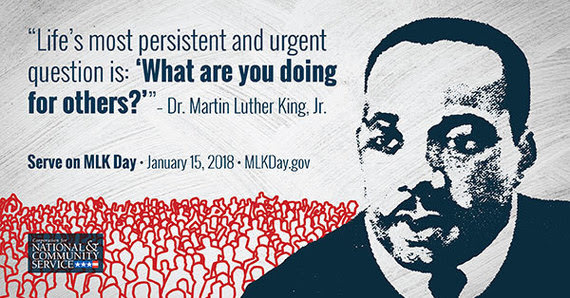 To discover MLK Day events and projects in your community, visit MLKDay.gov. The Corporation for National and Community Service is proud to lead service and volunteering efforts on the Martin Luther King Jr. holiday. We created this short video that looks back to explore the legacy of Dr. King and the MLK Day of Service.